Farewell letters herald the close of a friendship, working partnership and sometimes, a romantic relationship. Remaining cordial, level-headed and communicating clearly are all pivotal aspects in writing a response to a farewell letter. Although it may be a transformative and painful experience to receive news of a farewell, the response to such a letter is an ideal chance to contribute your thoughts and communicate a farewell of your own. Use a positive and cordial form of address that reflects your relationship to the person to whom you are writing. A common address, which works for most situations, is “Dear (name of person)." Write a first paragraph that sums up your gratitude for the positive elements of your relationship. For example, “You helped me to finish projects that mattered in my life and motivated me to strive for more every day.” Add a specific example of what you are grateful for or recount a particular experience that stands out within the relationship. Confront the present moment and your reaction to the farewell. For particularly emotional farewells, take some time to process your feelings before you start writing so that you can remain as polite and professional as possible. In a professional setting, use a formal tone to wish your coworker success in his future endeavors. If the letter is intended as a personal good-bye, sum up where you stand now and your reaction to the farewell letter using a friendly, less formal tone. Remain positive but address any sad emotions the farewell letter triggered. If you are feeling angry or disappointed and feel compelled to express it in your letter, explain the reasons for your anger or disappointment, but do so without compromising politeness or professionalism. If you are worried that you might be coming across too strongly, have someone else review the letter and give you feedback before you send it. Discuss the future in the final paragraph. 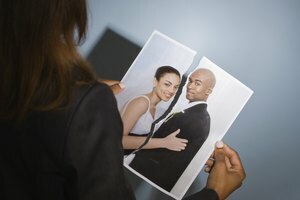 Express how you plan to move forward from the farewell you received. For example, “Now that our partnership has ended, I look forward to discovering projects I can pursue independently, although I will miss the dynamics we had as a team.” For a personal response, you might say something like, "I will miss our shared experiences at the office, but am happy that we will stay in touch regardless." Close the response letter with your final thoughts on any further contact. Leave a final sentence which allows for future contact if you feel the person who wrote the farewell would be interested in reaching you in the future, and you are open to this option. If you are not interested in maintaining future contact, use a final sentence that implies finality like "Take care of yourself." Close the letter with a cordial closer such as “Best Wishes” or “To the Future." Remain positive and cordial as the letter may be read for years to come. Vrba, Sarah. "How to Write a Response to a Farewell Letter." 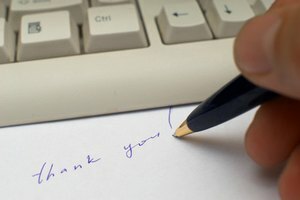 Synonym, https://classroom.synonym.com/how-to-write-a-response-to-a-farewell-letter-12082886.html. 25 June 2018. Should I Respond to My Ex's Email?